I will admit that until reading this post I had never heard of Jen Kingwell. Of course I googled her. Wow! Must say that most of her patterns are so complicated and I would never ever attempt them. But there are one or two that perhaps I could wrap my brain around......maybe. Great blocks Anael. What size are the Gypsy Wife blocks? Teen.....can I ask where you purchased the multi color strips fabric from? 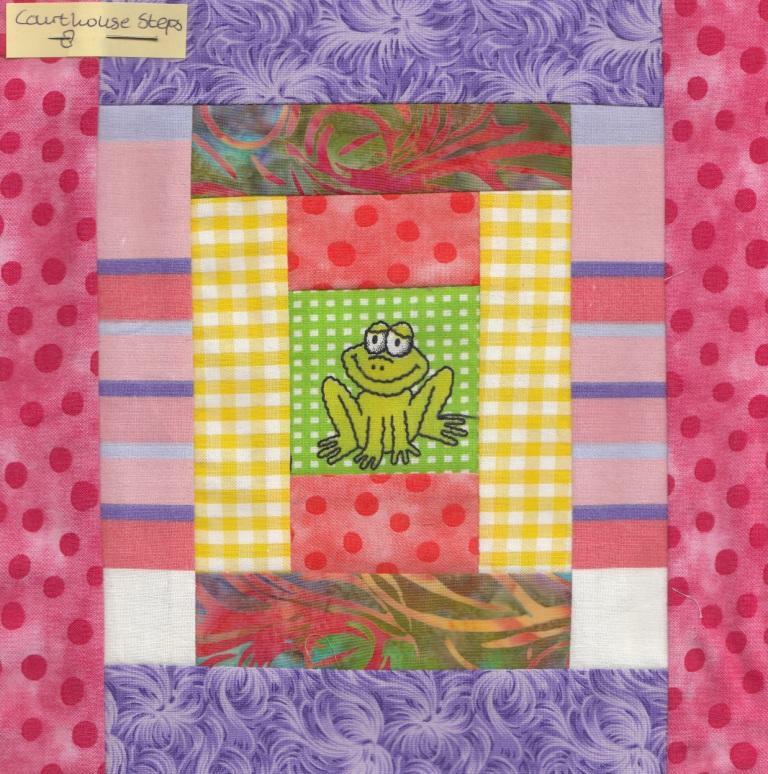 I agree, some of the patterns are a bit confusing but the ones in the book Quilt Lovely are not that complicated. You need to read carefully and you'll be ok. And if not, we're here to help. Judith, they're all different sizes. The ones I made now range from 9" finished to 3" finished. I will admit that until reading this post I had never heard of Jen Kingwell. 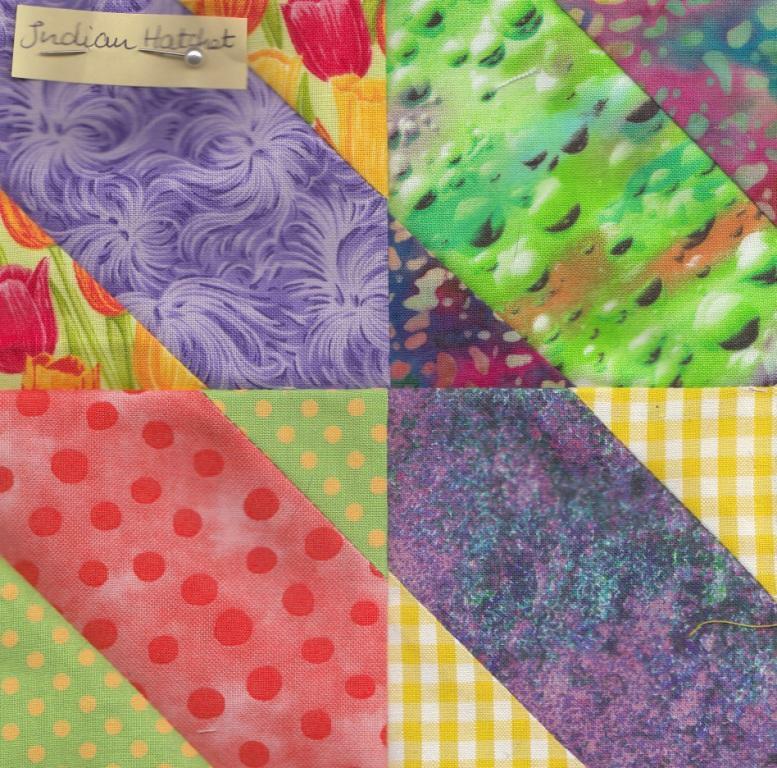 FYI - If you're a member of the Sew It's For Sale yahoo group you'll see there's a Jen Kingwell template package for sale for the Delilah Quilt that was a BOM and the gal is selling all 12 templates plus the put-it-together instructions from her BOM for $115. Thanks for all the continuous eye candy - your blocks and quilts are truly gorgeous. Same here, but I have heard of the Gypsy Wife and thought it interesting. After seeing Macybaby's it's a small world in progress, I'm anxious to try that. Anael, are you PP your blocks? Teen your fabric combos are so fresh looking! Last edited by QuiltnNan; 10-26-2018 at 02:25 AM. Most of them are PP OK but not all. I love Jen's patterns! I have Gypsy wife, it is right where I can see it as I finish just one more UFO. Here is a picture of my Gypsy Wife before it was quilted. I plan on taking more pictures of it to show more of the detail. I used all different fabrics for the strips, no repeats. 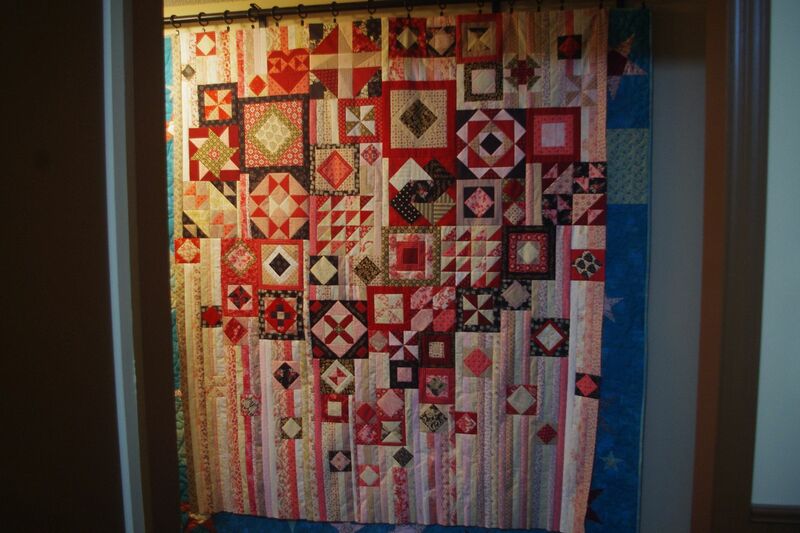 I think the key to doing these quilts is a good design wall. They are not hard in the parts, but hard to keep it all organized while putting it together. I cut my strips and had them numbered, and then did all the blocks, and then put them all together. I have always planned on doing another, and I think I'm going to go with dark shades for the strips and bright for the blocks. Hi Karen! Did you finish your Gypsy Wife? If so, would you please post a picture? We would love to see it! My design wall is too small so I have to use my curtains No problems, I'm doing that all the time. lindaschipper.....I bought most of my striped fabric from LQS called The Cotton Gin in Redlands CA. Their store is bright and colorful. I think I have a yard of every polka dot they sell. Lol..
Cathy....gorgeous GW.... I can't tell with the lighting..... is that pink and browns? I still didn't get my Green Tea book. I already emailed the shop but they didn't reply yet. lindaschipper.....Here is the salvage info on that striped fabric you like. "A Wildflower Meadow #2964 by Jackie Robinson of Animas Quilts for Benartex LLC." Hope this helps. Last edited by Teen; 06-06-2018 at 09:20 AM. 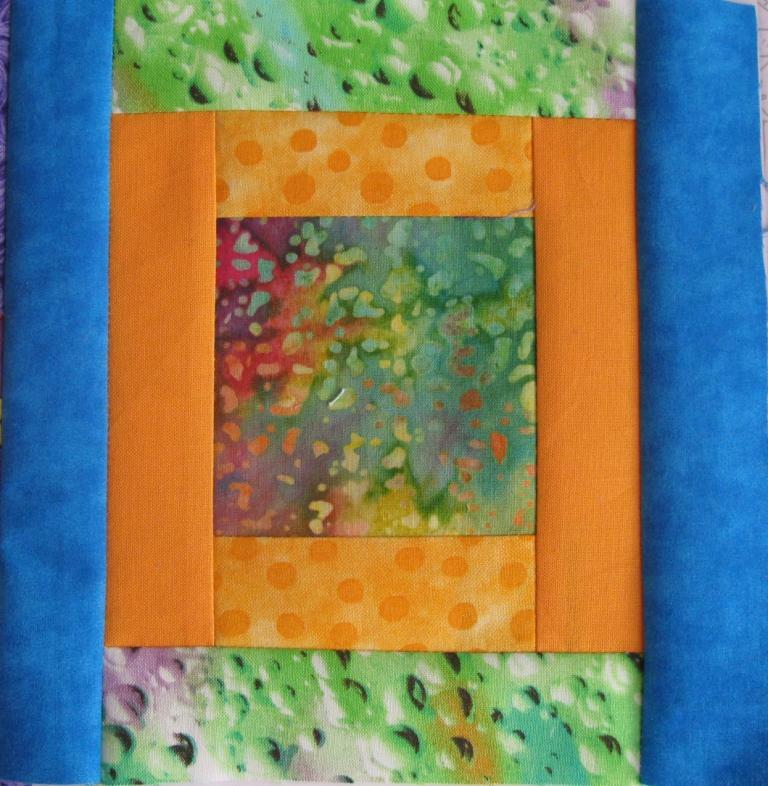 With every quilt you learn something new, that's my firm belief. This time I'm learning how to sew a scant 1/4" seam. I'm getting there, my blocks are more accurate. Some still are a tad too small but that's ok with me. Thanks for the compliments on my blocks My new fabric is on it's way, hopefully it will arrive tomorrow. Can't wait to use it. That Gypsy Wife is so much fun and a challenge at the same time colourwise. Last edited by Teen; 06-06-2018 at 09:43 AM. I used scant on the 9 p today and it came out perfect. I might have pushed the fabric too far under the foot and never got the right measurements. I use my straight stitch Juki for piecing and my Brother for machine embroidery. Teen when I see all your beautiful GTSB blocks I want to roll around in your polka dots too Your fabrics are really gorgeous!! In the Gypsy Wife book is written: pinwheel block finished block 3"..........cutting instructions and then: Assembly: make as per 4" pinwheels. What does that mean? As per = like, the same way as? it means follow the directions for the 4" pinwheel but change the measurements so it will end up being 3". You will see that quite a bit as there is the same block done in different sizes. I did not like that most measurements are for finished size, not the size it should be before you sew it in place. Thanks Macebaby, I thought so but wasn't sure. I made a few more blocks. Still waiting for the Green Tea book to arrive. I sent the shop an email but they don't reply. I have a few more but I need to resize them first. Gypsy Wife is one pattern that your blocks need to be very accruate in sewing as you are fitting different sized blocks in with strips, and if you are not accurate it's not going to come together correctly. Sometimes you are sewing three strips with a block on top, then you sew another strip along that, and sew that to a bigger block -etc. As you assemble, keep checking your measurements to make sure you are not getting off on your measurements. Sometimes you may want to sew with a different seam allowance to get back on track. You can ease a larger block into the strips, but if you try to stretch a smaller block to fit into the strip it won't work so well.